The 89th Academy Awards are less than a month away. Have you seen all of the nominated films? 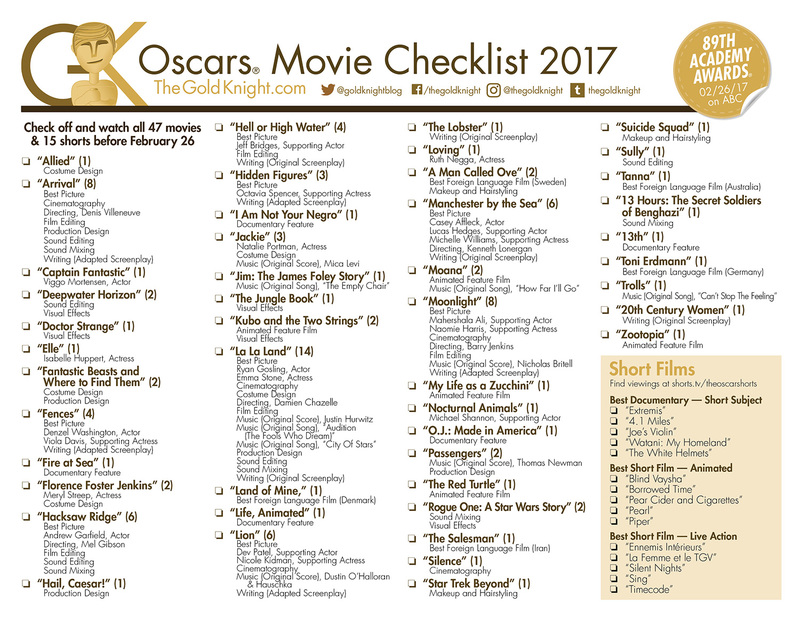 Use our handy Oscars Movie Checklist to find out. The 89th Academy Awards are less than a month away. 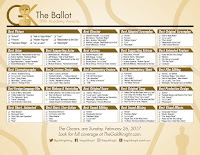 Have you seen all of the nominated films? There are 47 feature films nominated (up from 42 films last year and 45 films the year before) and 15 short films.